Choose this to make your payments via credit card or via online banking (Malaysia only). This payment method is not available for Australia, Canada, United States and Brazil. Choose to make your payments via credit card - Mastercard or Visa, or via online banking (Malaysia only). Choose to make your payments offline by depositing a cheque, cash or performing a bank transfer. Below is a step-by-step from selecting and adding books to your Shopping Bag to payment and order completion. Begin by navigating to the Shop page. Select your category and review the list of books available. Click anywhere on the book cover to view further details. After reviewing the information in the Details view, you can then click the "Add to Bag" button to add the selected book to your Shopping Bag. Your item is added to your online Shopping Bag, displayed on-screen. If you would like to continue shopping, click the "Continue Shopping" button and return to the Shop's categories and books listing. 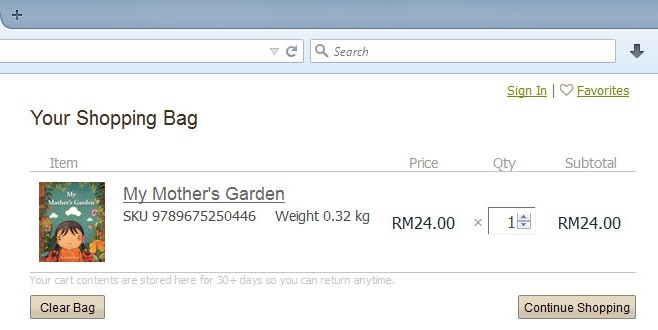 To remove all the items in your Shopping Bag, click the “Clear Bag” button. To remove a specific item from your Shopping Bag, click the “X” button in the top right hand corner of the item. Each time you select the "Add To Bag" button on a product page, you'll return to the Shopping Bag to review your purchases, change quantities, or remove items. Once you're ready to checkout, please do review our Terms and Conditions and accept by ticking the corresponding box in the Shopping Bag. 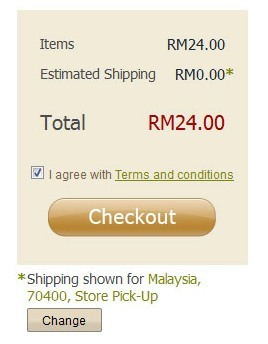 To update the shipping cost, click the “Change” button. A popup window will appear where you can select the country, state and postal code of your shipping address. Click “Apply location”. The available delivery methods will then be listed below. Select the delivery method of your choice and click “OK” to return to the Shopping Bag. 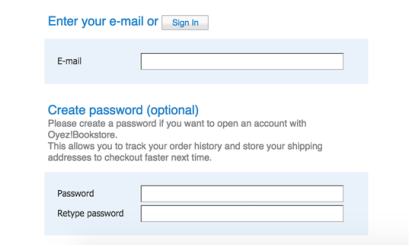 If you have previously created an account with us, you can click the “Sign in to use our address book” button to retrieve your shipping and billing details from your profile. Else, fill in the required shipping information. Click “Continue” button. Choose iPay88 for credit card or online banking. Choose Cheque, Cash and Bank Transfer for offline payment. When you choose this method, our bank details will be provided in the Instruction for Customer. We will only proceed with delivery once we confirm cheque clearance or payment receipt. Enter your email details so that we can send you status updates on your order. You can also click the “Sign In” button if you have an account with us, or enter your password information to create a new account. By default, your billing details will be the same as your shipping details. Please uncheck the box if you want to update the billing information. Do ensure that all of your contact, shipping, and billing information is correct. Click the “Continue” button. Step 5 - Order is Complete! Once you have completed the payment process, an order number will be generated with a summary of the items you have purchased. Click on the “Print this invoice” link if you want to print a copy of the invoice. Your order information will also be sent to you by email. You will receive further notification via email when we ship your purchases. Your order will now be on its way! Click to learn more on our Shipping and Returns policy as well our Terms and Conditions.